This Veteran’s Day, DuPagePads announces that the agency has ended chronic veteran homelessness for those the agency serves. Committed to the federal goals of ending chronic veteran homelessness by December 31, 2015, DuPagePads identified chronically homeless veterans and systematically set goal plans in place for each month, innovatively developed solutions for each individual and formed collaborative partnerships to achieve this milestone. Those who are “chronically homeless” are defined as having been homeless for a year or longer (or three times within the past four years) and having a documented disability due to a physical or mental condition or addiction. “Ending chronic veteran homelessness for us is the first crucial step to showing we can end homelessness for everyone in this county if we work together,” Carol Simler, DuPagePads President & CEO announced. 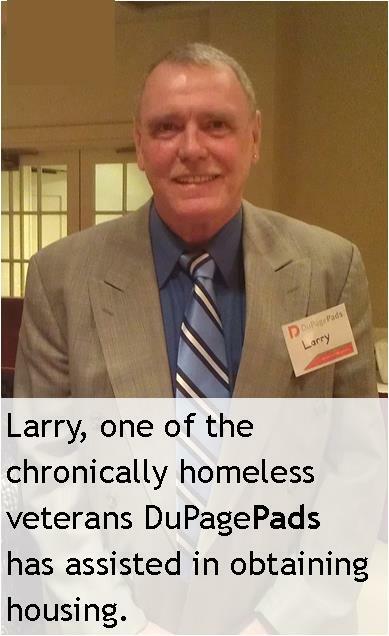 Larry is one of the many veterans DuPagePads has assisted in obtaining a place to call home after four years of being homeless, all while facing numerous health concerns including severe arthritis, prostate cancer and even a stroke. “Now life is good. I’m enjoying my apartment in Downers Grove. DuPagePads helped me receive my pension from the VA and I still work with my case managers to manage my doctor visits, medicines and health. I’m happy to say my cancer is in remission. Without DuPagePads, I would not be here today,” Larry shares. This announcement comes at a time when the agency is recognizing their 30 years of service to the community. 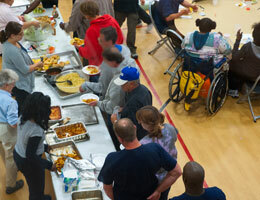 Since 1985, the agency has served 28,348 individuals and provided 688,409 nights of shelter and 2,181,012 meals. DuPagePads next milestone is working to end chronic homelessness for families and individuals. 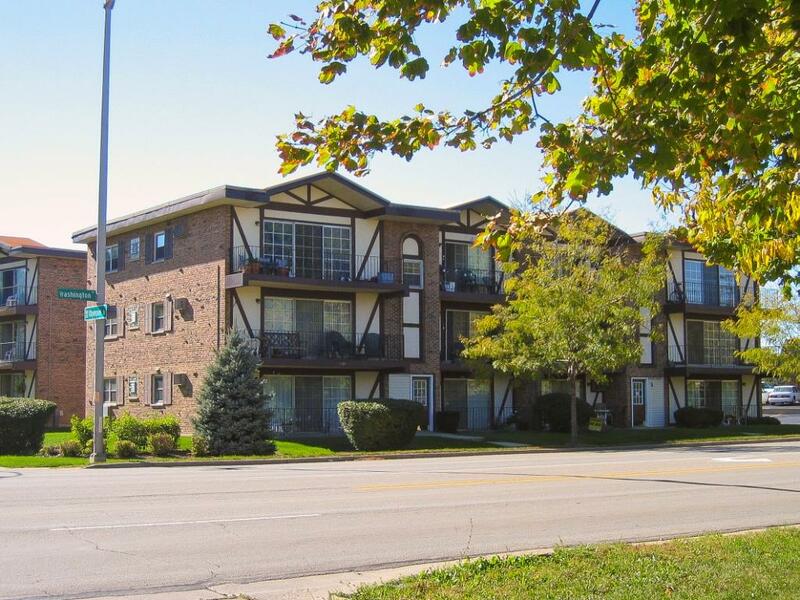 The largest provider of Supportive Housing in the county, DuPagePads utilizes 80 apartment units which enable families and individuals who are chronically homeless to remain housed and access critical support services to thrive in the county. Effective at ending homelessness, the Supportive Housing Program last year saw 91% remain housed for a year or longer. Not only does Supportive Housing transform the quality of life of those served, but it also saves taxpayers money. According to the Illinois Housing Development Authority’s 2013 annual report, Illinois taxpayers save $37,000 each year for every adult in Supportive Housing and out of a nursing home or institution. Using this figure, last year DuPagePads Supportive Housing units saved taxpayers nearly $3,000,000. Currently, approximately 100 households in DuPagePads Interim (Overnight) Housing program could benefit from Supportive Housing. Click here to learn how you can be part of the solution to end homelessness.